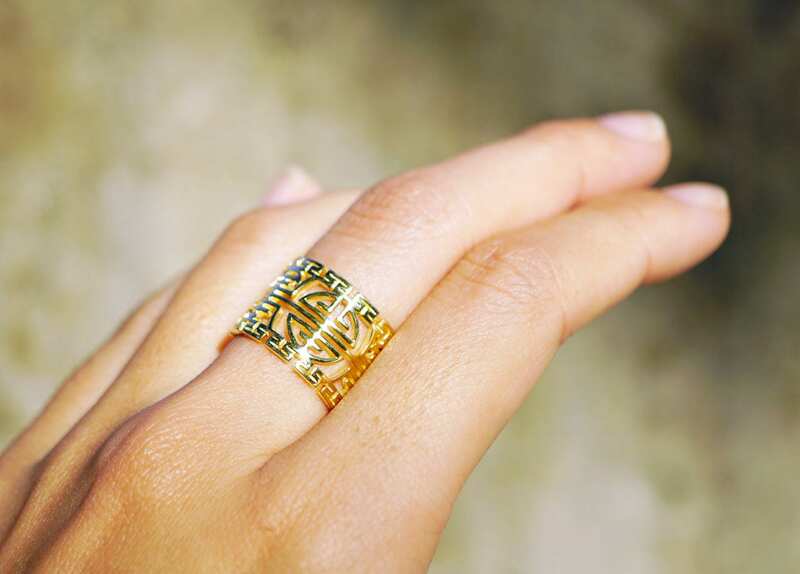 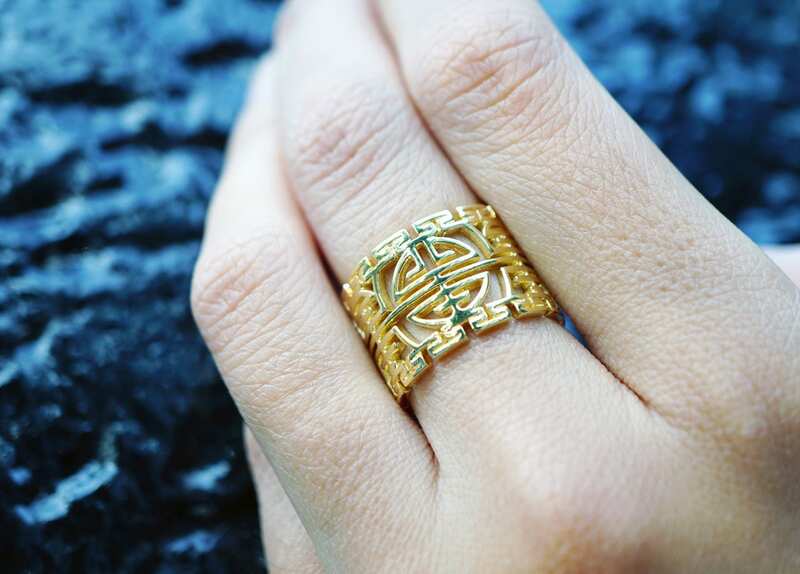 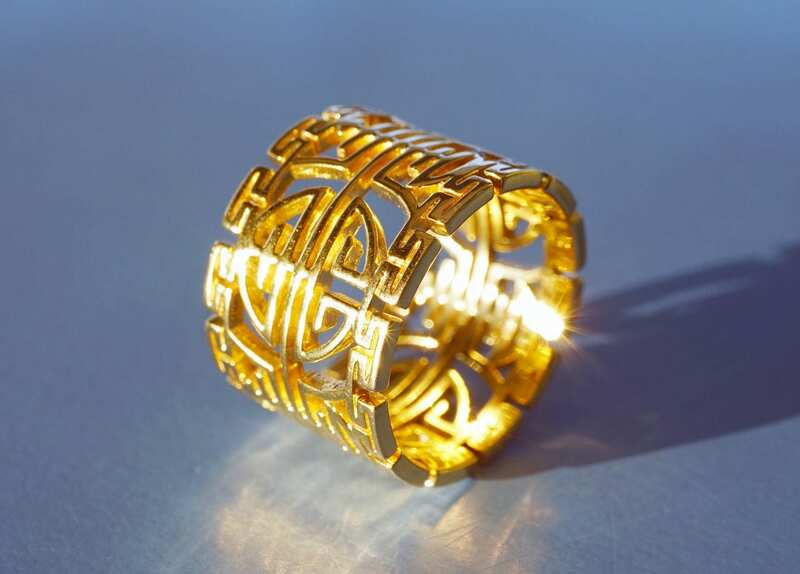 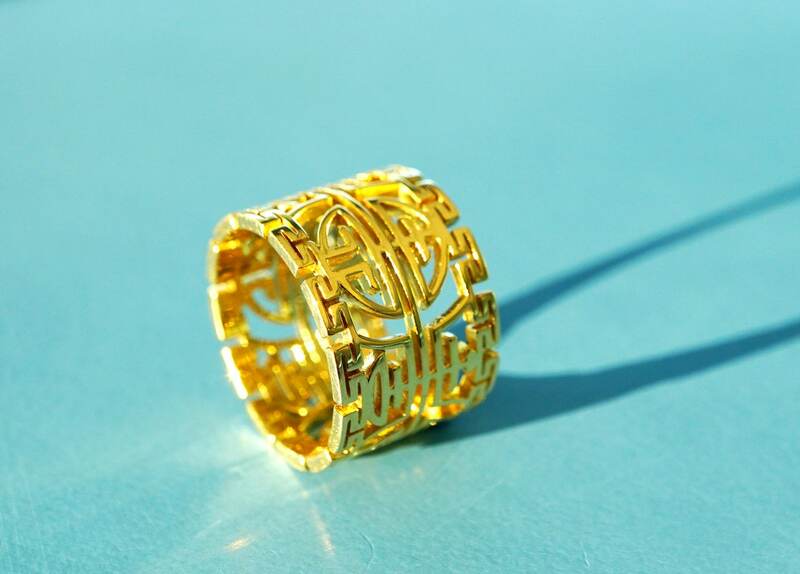 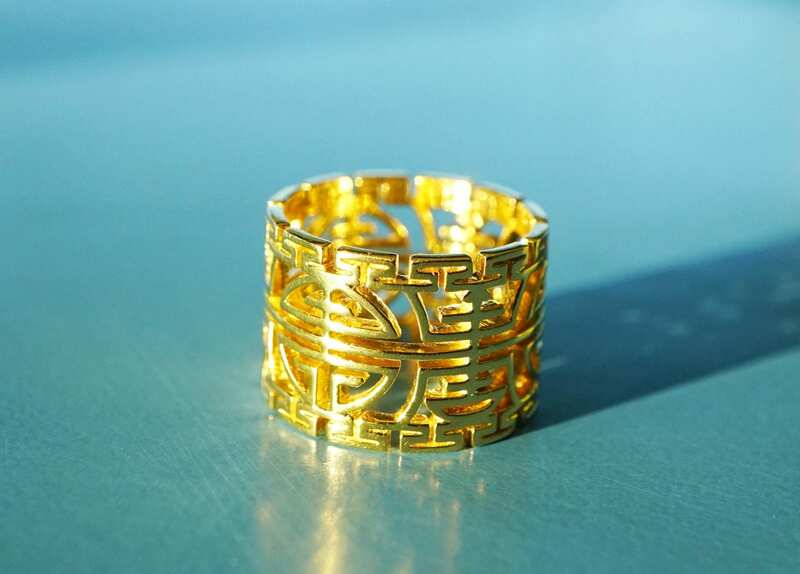 The ring is engraved with six regularly arranged "Shou" characters in two different font types, with upper and lower edges ringed with labyrinth motifs. 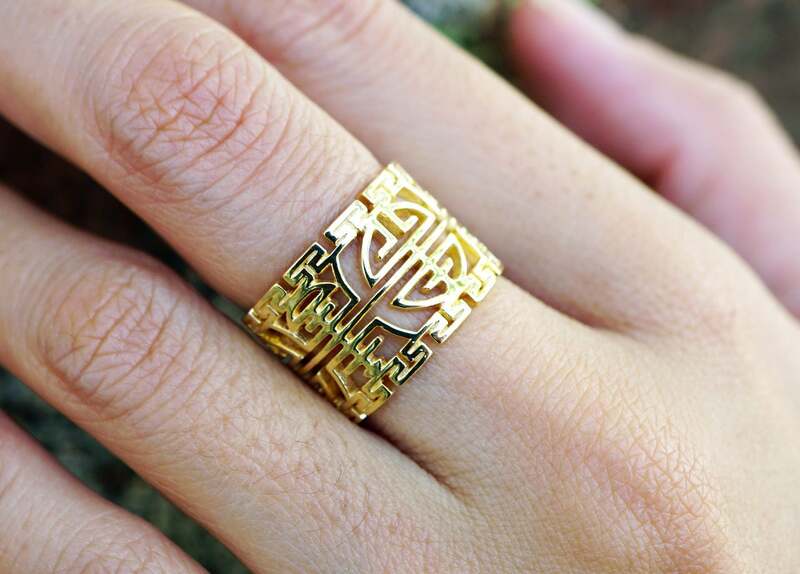 The "Shou" character means long life and immortality. 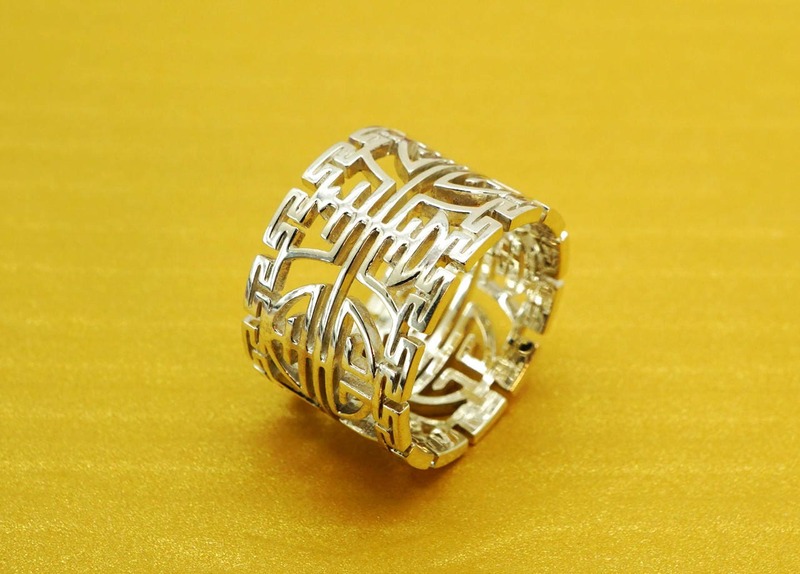 Often used in Chinese art as a sign for longevity, good health and general good wishes.